If you are on the hunt for a brand-new toilet, you might want to consider the SANIFLO SANIACCESS 3. Here you get the SANIFLO SANIACCESS 3 macerator chamber, along with a toilet bowl, the water tank, and a soft close lid as well. What is nice here is that this toilet and macerator system is quite easy to install, the whole system is made of durable materials, it saves water, and has the ability to flush away pretty much any kind of waste. 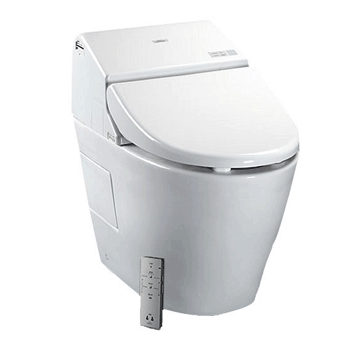 We do like the general design of the SANIFLO SANIACCESS 3 and the included toilet. 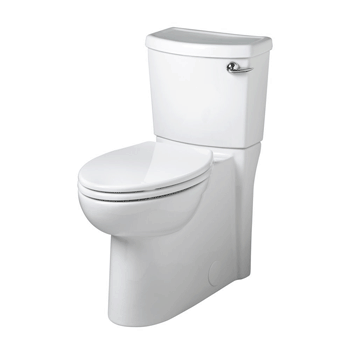 The toilet itself, as well as the macerator tank, are both made out of high-quality porcelain. It is an industry standard and it has not failed yet. Porcelain is tough and easy to clean, which is nice. Furthermore, the inside of the macerator tank features various plastic, rubber, and metal components, but they are all quite tough. On a side note, for the toilet bowl, you can choose between a standard one or an elongated one. The flush system of the SANIFLO SANIACCESS 3 is quite unique, but it definitely works very well. To start off, the water supply which the toilet is connected to fills the tank of the toilet. When you press the flush valve, that water enters the toilet bowl, thus cleaning the walls and the bowl itself. The water is then ejected out the rear into the macerator tank. Once the water enters the macerator tank, it triggers the pressure system, which in turn triggers the macerator blades. These blades work to break down solid waste into very small chunks. This is one of the reasons why the SANIFLO SANIACCESS 3 does not require much water for flushing. After the waste is broken down, it sinks to the bottom, where the impeller and pressure system forces it out of the tank and into the sewer system. What is neat here is that the SANIFLO SANIACCESS 3 is strong enough to send waste vertically up to 15 feet to the next sewer connection. Now, this is very efficient and effective, but beware that it is also fairly loud. When it comes to cleaning, the SANIFLO SANIACCESS 3 is not too bad. Of course, for the toilet itself, all you need are basic toilet cleaning tools. Some cleaner, wipes, and a scrub brush should do just fine. The macerator tank is a bit of a different story. Generally speaking, the macerator tank really does not require much in terms of maintenance or cleaning. However, if things get stuck or something goes wrong, you might have to detach and disassemble it in order to clean out the inside. The macerator does come with an optional hard water cleaning system, which does make things a bit easier when it comes to flushing. One thing that definitely stands out about the SANIFLO SANIACCESS 3 is that it does not use much water. 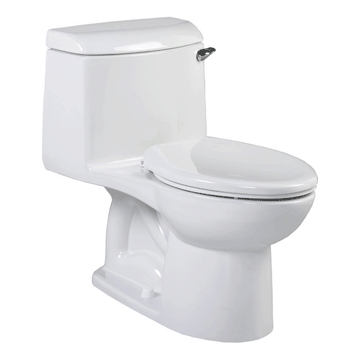 Your average toilet will use around 4 gallons or 16 liters of water per flush. That is a lot of water to be wasting. Now, the SANIFLO SANIACCESS 3 only uses around 1.6 gallons of water per flush. This is mostly thanks to the macerating system which cuts down on the need for so much water to be used. It is both eco-friendly and very cost effective too. In terms of installation, when it comes to toilets in general, unless you know a thing or two about plumbing, you might want to let a professional take care of it. Realistically, you can do it on your own, but you need to be sure that everything is properly connected. For one, the toilet tank does need to be connected to a water supply. Also, the macerator needs to be connected to a power supply, so it gets electricity to function, plus it needs to be connected to a wastewater sewer pipe for disposal. It’s not that hard, but it does need to be done right. Also, you can connect various other water systems like showers, sinks, and urinals, all with minimal modifications required. We are giving the SANIFLO SANIACCESS 3 an overall rating of 4 out of 5. In our opinion, although you will probably need to get it installed professionally, and although it is a bit loud, it is still a good option to go with. 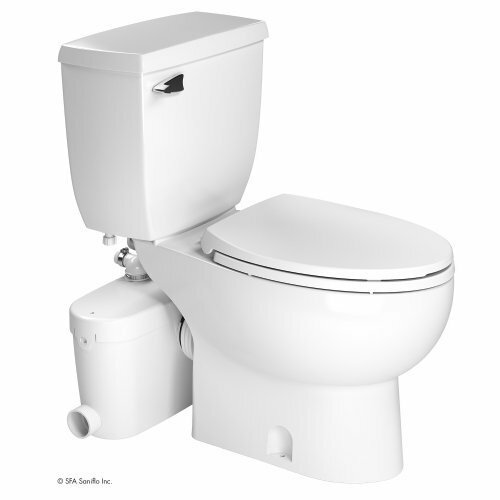 You get the toilet bowl, tank, and seat included, it is water efficient, and it works really well for basements and other such areas.